RBTH presents a news digest based on Instagram photos from Russia. Take a look at what happened here during last week: aid for Ukrainian refugees, floods in Siberia and a smoking ban. Volunteers cook food in a refugee camp for those fleeing Ukraine. The camp is located in the village of Kolentsy in the Rostov region, 330 km from Moscow and 970 km from Kiev. "In total, we made 90 portions of delicious Charlotte cake for the kids." On Sunday, June 1, the President of Abkhazia Alexander Ankvab resigned under pressure from the opposition. Abkhazia’s fourth president will be elected on August 24. In the meantime, calm life goes on. Nearly 4,000 houses affected by floods in Siberian part of Russia. 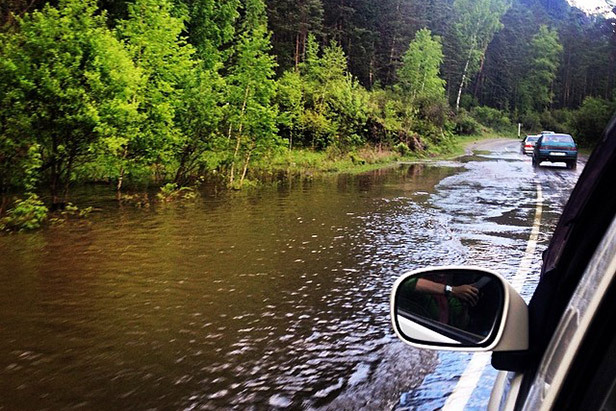 The water level in local rivers has risen significantly since May 29 due to heavy rains, which caused floods in some areas of the republics of Khakassia, Altai, and Tyva, and in the Altai territory.